These days one can find biltong anywhere, but great biltong is few and far between, so when we stumbled upon the “new kids on the block” we were skeptical. 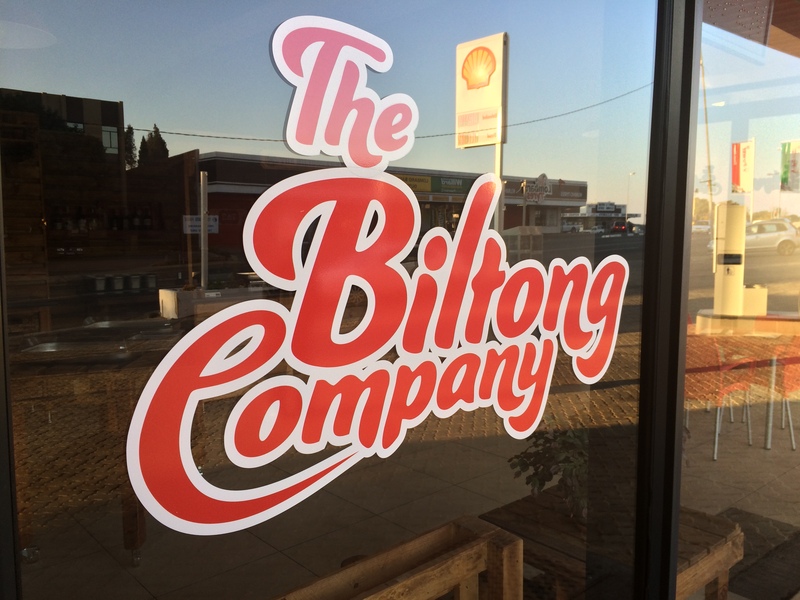 Perfectly located at the top of Conrad drive, right next door to the Shell garage in Randburg, is The Biltong Company. Just over a few months old, this store has already put itself on the map. With daily customers, grabbing a quick snack on the way to and from work, or popping in at lunch, this store clearly doing something right. Their philosophy is simple, quality and hygiene, served with a smile. The owners Jasper and Annette are a newly retired couple who have recently opened up the Biltong Company. Although this is their first biltong store, it feels like they have been in the business for years. They don’t boast about having the best biltong in town, in fact, they are very humble about their biltong, they simply let the biltong do the talking. They have a good selection of biltong on offer, nothing extravagant and nothing to hide, just good, quality, traditional style biltong. You won’t find sweet-sour flavoured biltong, and other random spices, just the basics. Only the best quality meat (which comes from Ermelo) is specially selected and used to make the famous Biltong Company biltong. 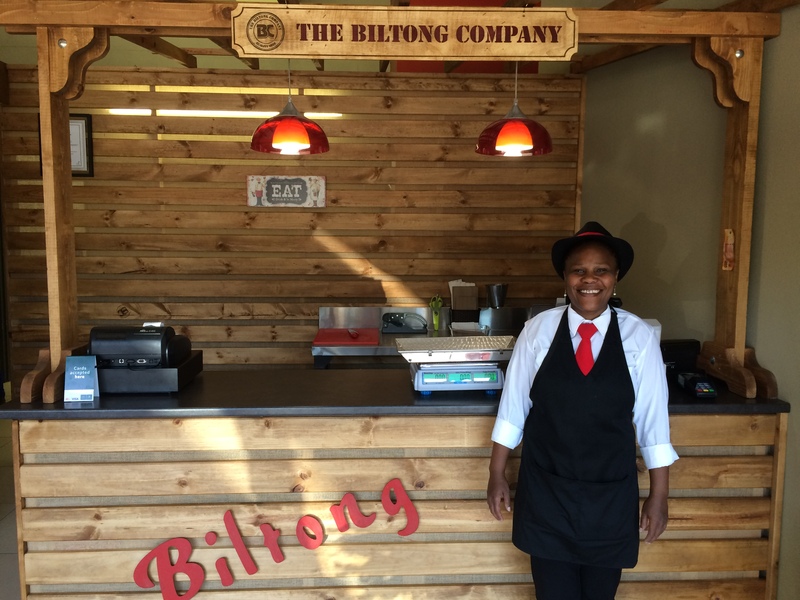 Everything is prepared off-site and only once the biltong has been prepared is it delivered to their store. Next time you drive up Conrad Drive, look for the big red sign and be sure to make a stop at the Biltong Company for the perfect balance of moistness and (yellow) fat biltong. Is there no biltong in Kimberley, Polokwane or Nelspruit?